An exhibition examining urban life and architecture unfolds at Flowers Gallery on Cork Street. While the exhibition itself is small, featuring five large-scale prints in addition to several smaller images, the impact of these images is truly staggering. 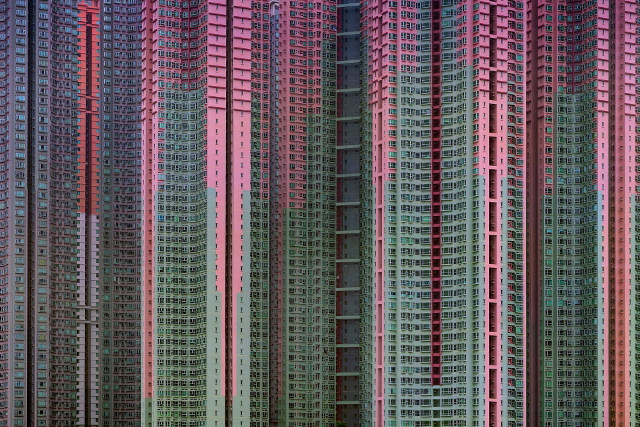 Acclaimed photographer and artist Michael Wolf has photographed the densely-inhabited skyscrapers and apartment blocks of Hong Kong, turning them into vividly vertiginous abstracts on an immense scale. 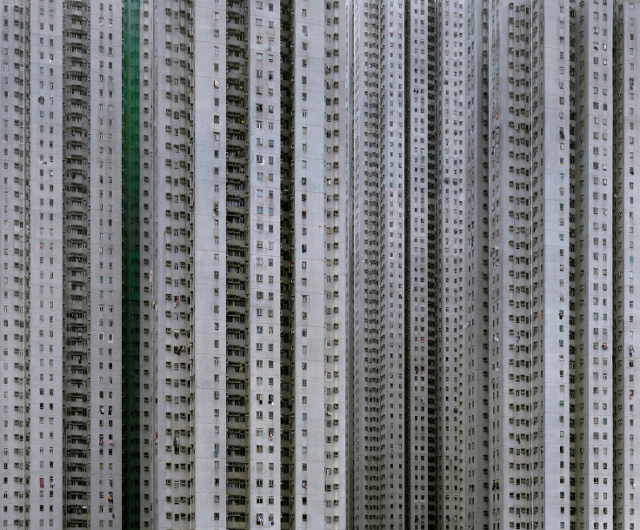 These images form part of Wolf's series, Architecture of Density, which is being exhibited for the first time in London. 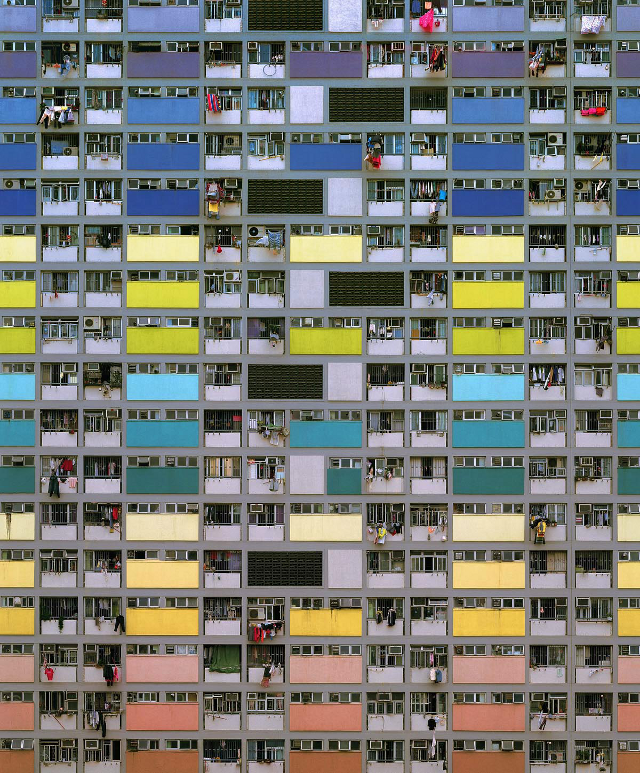 The exhibition also coincides with the publication of Wolf's Hong Kong Trilogy, featuring images of urban life in Hong Kong, one of the world's most densely populated cities. The images are formally beautiful, a union of flowing, repetitive lines, following the vertical and horizontal lines of the buildings, coloured by painted cladding and punctuated by windows, balconies and railings. The lines seem to move across the images, and there is a definite sense of three-dimensional geometric form. The sky and ground are excluded from view, heightening the sense of never-ending architecture. It is difficult to remember that you are looking at functional buildings and not abstract art. 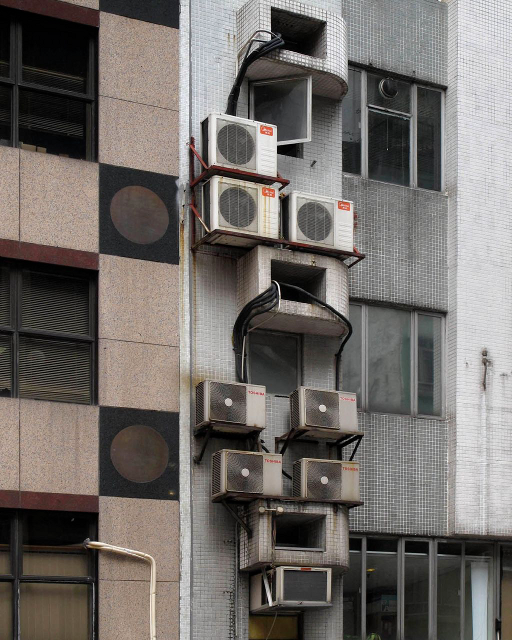 Furthermore, these buildings are inhabited by living people. If you take a close look, you can make out washing being hung out to dry and pick out the individual and personal among all these uniform architectural landscapes. A bird feeder, a striped jumper, a red t-shirt. 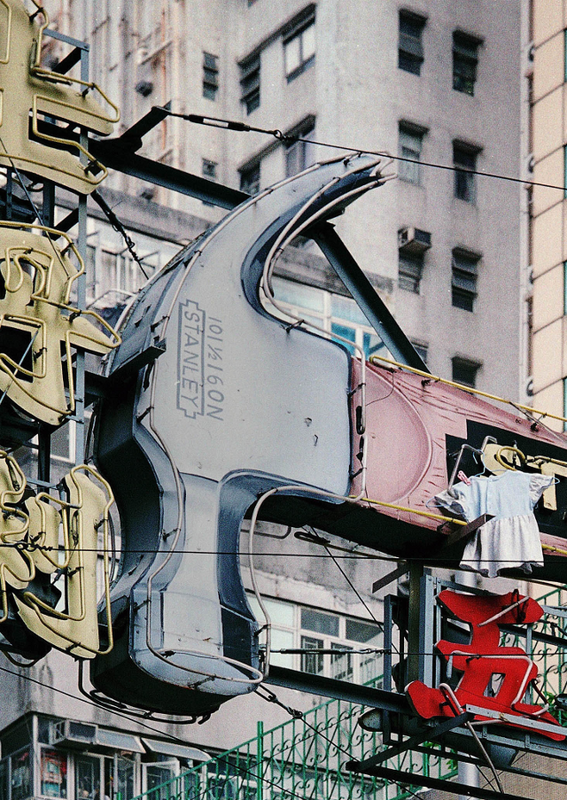 These are indeed portraits of an urban landscape. 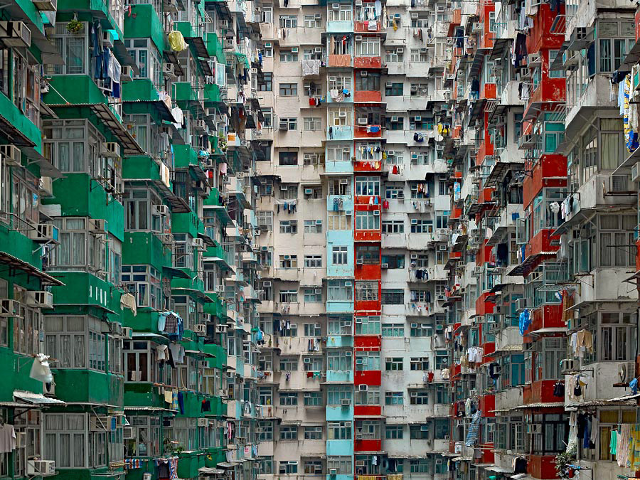 Michael Wolf's Architecture of Density continues at Flowers Gallery until 22 February. Admission free.